Ingestre is mentioned in the Domesday Book, but a settlement was here as early as the Bronze Age, which recent investigations have revealed. 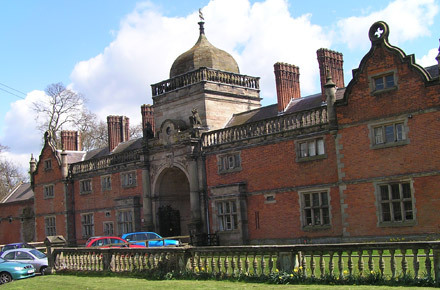 The manor of Ingestre passed through marriage from the De Mutton to the Chetwynd and Talbot families, several of whom will be represented in a costumed procession during the Festival. The Hall is now owned by Sandwell Education Authority and used as an Arts Centre. Sir Walter Chetwynd had it built in a Jacobean style in 1613 and it was rebuilt in the same style in 1882 after a fire substantially destroyed it. The Hall will be used during the Festival for exhibitions, demonstrations/activities, talks and refreshments. The Church of St Mary the Virgin at Ingestre is a gem. This beautiful building, reputedly designed by Christopher Wren, was completed in 1676 and replaced an earlier church. 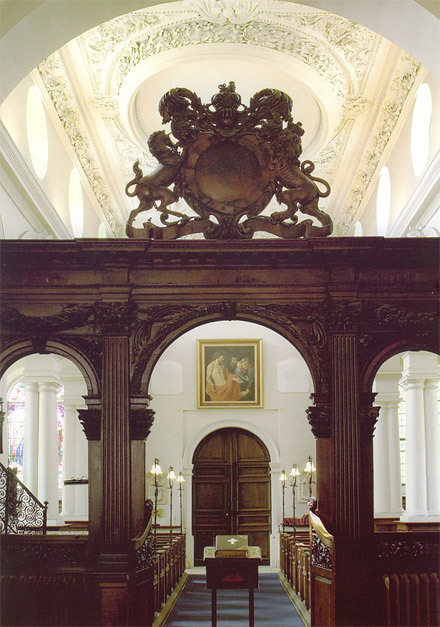 There is a fine screen and ornate pulpit with work by Grinling Gibbons. It has always been a Parish Church, a church for the people, and continues to be used by the villagers and community. It will be used for exhibitions and concerts during the Festival. Ingestre orangery was built by Samuel and Joseph Wyatt after designs by James Athenian Stuart for the Grade ll*listed Orangery at Blithfield Hall 10 miles away. A park boundary was added in the early 18th century and still survives in places. The 27 acre park was landscaped by Capability Brown in 1756 with new walks a haha and a pleasure ground. All the formal gardens were removed in 1789 and by 1815 'The Long Walk', a sloping pathway was created, leading from the north garden to the Orangery, lined with Irish Yew trees brought in 1810 by the second Earl Talbot. The Orangery was used for growing exotic fruit and plants by the Chetwynd-Talbots and subsequently the Earls of Shrewsbury until 1959 when the estate was broken up and sold. Ingestre Hall, Ingestre Orangery and surrounding gardens were bought by West Bromwich Council in 1959 as a residential arts centre for children. Consequently the tradition of the promotion of the arts, established by the Earls of Shrewsbury, has been continued. The Hall opened its doors to the first groups of children in 1960. At that time the Orangery was used for growing plants for the grounds and children were also allowed to use the swimming pool in the surrounding garden. The swimming pool is no longer present and after years of disuse, the orangery is now in the process of being restored by the charity 'Friends of Ingestre Orangery'.